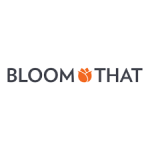 BloomThat is an online flower delivery service. It specializes in fresh blooms. The company can deliver blooms in Los Angeles, Bay Area and New York City on the same day. It offers next day delivery for the rest of the country. BloomThat deals in signature blooms, bunches, pairings, gift baskets and plants. It caters to every special occasion throughout the year, from Mother’s Day to Christmas. The company also specializes in wedding floral arrangements and bulk supplies for any type of event. All arrangements are handcrafted and thoughtfully designed. BloomThat simplifies flower delivery and also makes it reliable & affordable. Save 10% Off Your First Order! Say It With Flowers!